Once started, there is no way you can put this book down! Suspenseful to the max, this medical thriller is tightly paced and takes your breath away. With a supernatural twist, it keeps you thinking. This book made it all the way to Germany and you can tell that this author knows what he is talking about when he takes the reader to the OR or ICU - since he is an anesthesiologist himself. 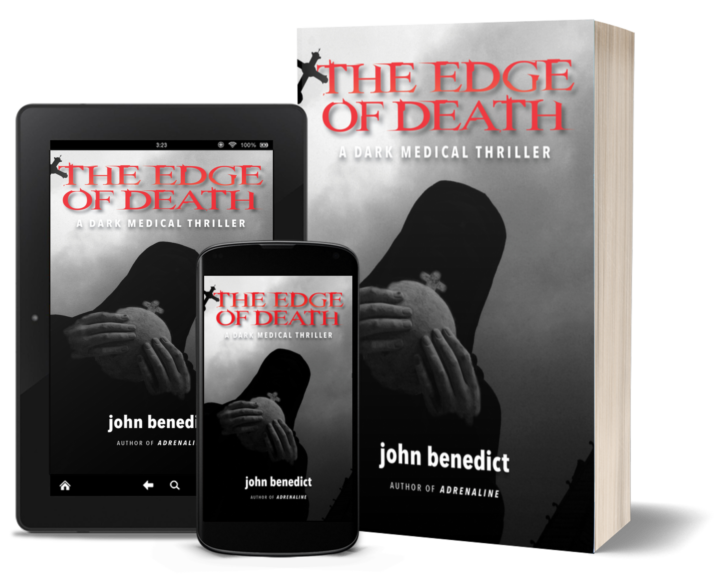 So be sure not to miss this exciting medical thriller and Dr. Benedict’s debut work: Adrenaline! These books can definitely be placed in a row with Tess Gerritsen or Patricia Cornwell. Five Stars! Captivating! Couldn't put it down! Wow! I really enjoyed this book. Wonderful sequel to Adrenaline. Loved the supernatural notions. Can't wait for the next book. Dr. Benedict has done it again! This sequel to "Adrenaline" is captivating. I started the book during breaks @ work (12 hr. shifts in operating room) and finished it next day high above the clouds flying to PA to visit family. I love the introduction of a new medical concept, the mix of science & spiritual philosophy, the surprises that keep me turning pages, and finally the hint that another dark thriller might be on the way. Benedict is added to my booklists of favorite authors and I hope his ideas keep spilling forth! From the author of Adrenaline, comes another action packed thriller that introduced the reader to the exciting world of medical science. A must read book. 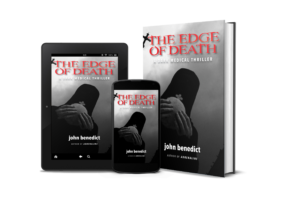 Want a signed copy of The Edge of Death? If you like the novels of Robin Cook or Tess Gerritsen, the heart-pounding novels by John Benedict will leave you ON THE EDGE! Just stayed up way too late to finish”the Edge of Death”. Great story. Congrats, John! I thought I was going to figure out what would happen, but…No! Sharp, clever, and compelling. Bravo!